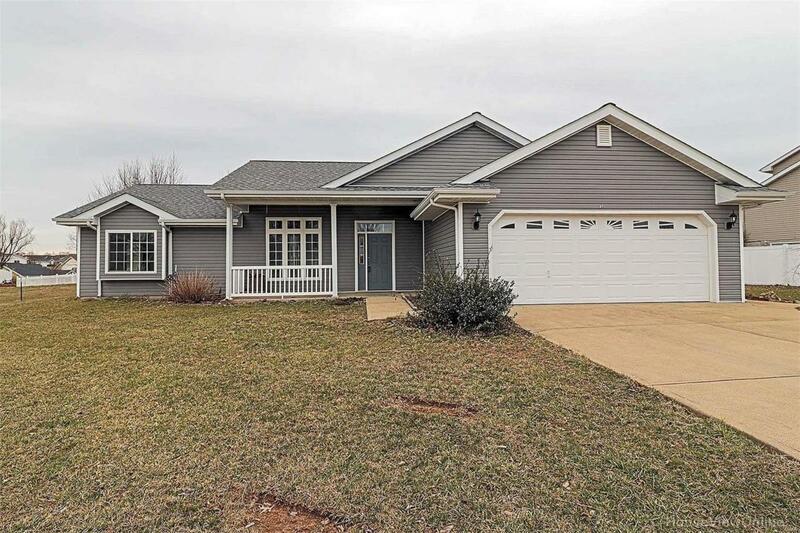 Well maintained 3 bedroom, 2 bath home located in Hunters Ridge! Inside you will find 1,600+ sq. ft. of one level living, a large living room with vaulted ceiling open to the dining area and kitchen. Featuring plenty of cabinet and counter space, breakfast bar, and double ovens, you'll be ready to prepare a meal for the largest of gatherings. The divided floor plan hosts a spacious mater suite with a walk-in closet and a nice sized master bath including separate jetted tub and shower. This home features many new updates such as HVAC, carpet, hot water heater, microwave, and garbage disposal. The roof and siding are also around 3 years old. Outside you will find a covered front porch, patio around back, and a fenced in backyard. If youre looking for a move-in ready home with many great updates, look no further!